We are now halfway through the summer and the bulk of our summer vegetables have completed their season. As much as I hated to admit it, the time had come to put part of the garden out of its misery. We cut down almost all of the tomato plants, leaving only the green zebra and the yellow pear to finish out their yield. Recently I learned on our local NPR program, Desert Bloom that by cutting the tomatoes almost all the way down and mulching them, we may get a second round of tomatoes in September. So, that’s what we did this morning and boy, was I sentimental about it! I’m going to pause now for a moment of reflection on our first real summer crop and a remembrance of the herbs that perished during the heatwave: Purple Sage, English Thyme, French Thyme, Biergarten Sage, Greek Oregano. They served us well and died spectacularly–seriously, they turned white and disintegrated! 115 degrees will do that to tender herbs! Reminiscing on how pretty everything was just 6 weeks ago! I’m so glad I was able to get some good photos of the garden when it was doing its best in early June. 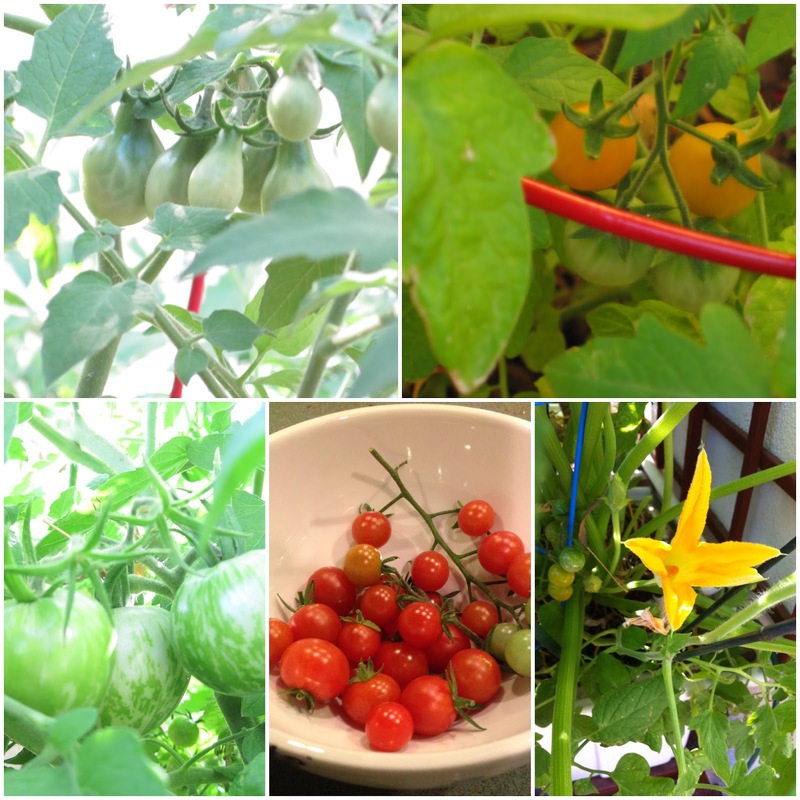 If there is a lesson to be learned from the garden this year, it is that we should plant even earlier–maybe between February 1 and February 15, so that the tomatoes will be at their peak in May, when the heat isn’t so extreme. And even though we didn’t get bushel baskets full of vegetables this year, it was a “goodly sum” compared to previous years, and I’m excited to start over again. It’s probably about time to start thinking about planting seedlings for the fall–indoors first, of course! This salad is one of my summertime favorites that I have adapted from the Culinary Institute of America cookbook: Gourmet Meals in Minutes. 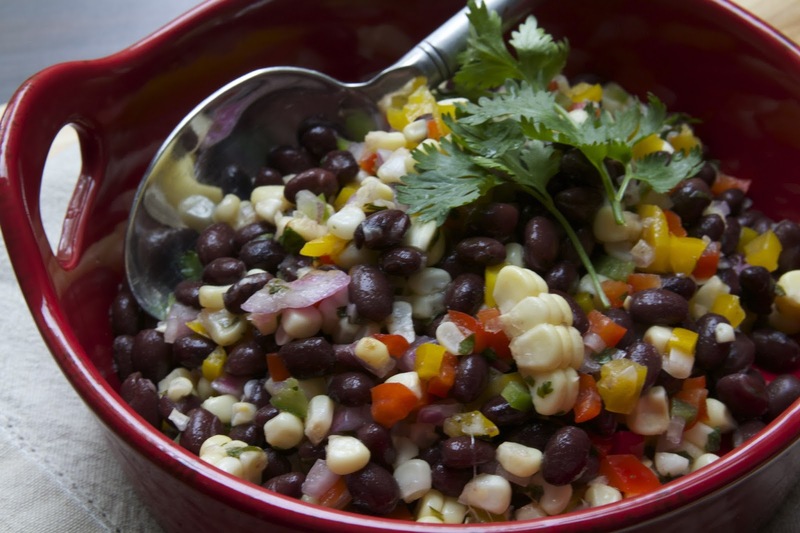 I’ve made it so many times that I don’t need the recipe anymore and during the summer I love making the salad with grilled fresh corn. 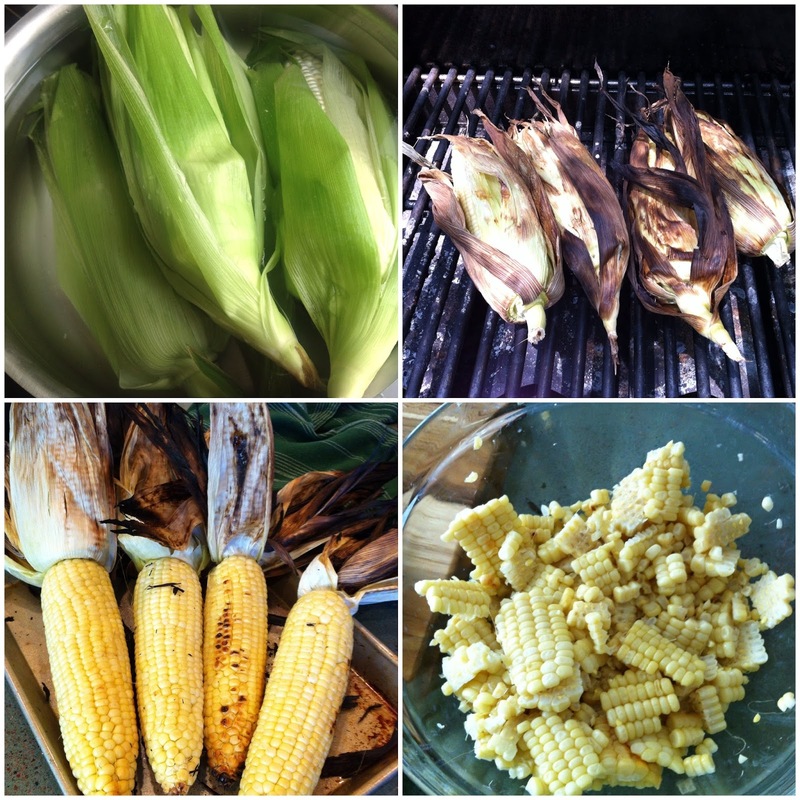 Grilling corn is quite easy. Simply peel back the husks (leave them intact) and remove the cornsilk. 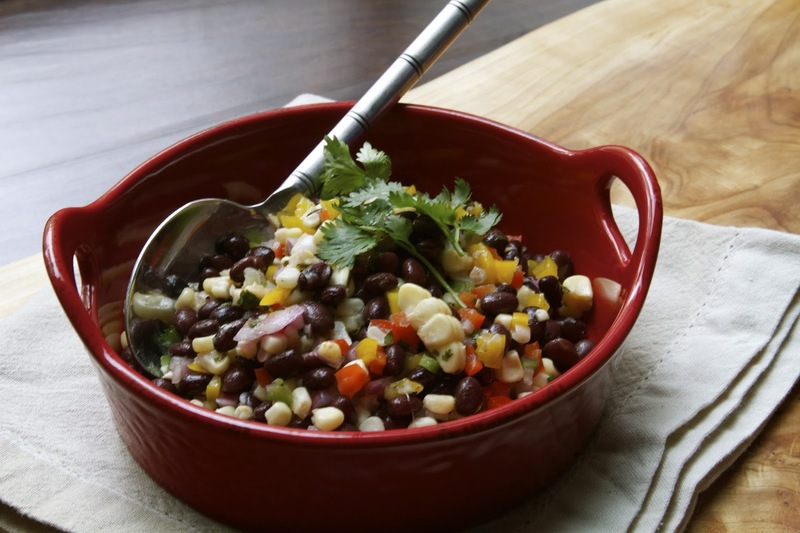 Soak the corn in water that has been salted with 2 tablespoons of kosher salt for about 10 minutes. Place on the grill over direct medium-high heat and grill for 20 minutes or until the kernels are cooked and are beginning to char. Allow the corn to cool and then slice the kernels off with a sharp knife. Combine all of the above ingredients in a large salad bowl and combine with the cilantro-lime vinaigrette. Whisk together all of the ingredients except for the oils. Allow the mixture to sit for approximately 10-15 minutes to allow the flavors to marry. Then whisk in the oils. If you have a nut allergy, olive oil will work just fine. The nut oil just adds an extra dimension of flavor to the vinaigrette. Pour the vinaigrette over the salad and mix thoroughly. All the finished salad to sit for 5 minutes before serving. *A note about jalapeños: I really like this salad to have a little kick of heat. I always buy jalapeño peppers in twos because there will invariably be one mild one and one that is nuclear! If you happen to get the nuclear one, don’t worry–the sweetness from the honey combined with the acid of the lime will really neutralize the heat of the pepper and the salad will be lovely and well-balanced. If the mild one happens to get chopped first, then I will add at least half of the nuclear one to the salad for good measure!